Home / What Happens When a Sewer Requires a Discontinued Part? Health hazards – Untreated sewage is highly dangerous to those who come into contact with it, as it can have severely negative effects on health. According to statistics, an estimated 7 million people a year suffer from illnesses after becoming exposed to raw sewage. Highly deadly viruses, bacteria, and parasites can enter the human body, and, worryingly for 7% of these people, the illness is fatal. Damage to surrounding buildings – Excess water and the lack of a proper drainage system can cause havoc to the foundations of buildings and people living in them. Raw sewage leaks can cause irreparable damage to properties, as absolutely everything touched by the sewage must be completely replaced. Environmentally detrimental – An obvious result of leaked sewage is its environmental impact. When raw sewage leaks into rivers and ponds, it pollutes the water then kills plants and wildlife (completely destroying the ecosystem). Additionally, any fish or seafood in the polluted area will become dangerous to eat if consumed without proper preparation and cooking. The most common causes of sewage spills are from grease build-ups, structural issues (such as tree roots growing into the pipelines), and unauthorised inflow such as rainwater entering through cracks and pipe defects. When these issues arise, this often means that the pipeline (or part of it) needs to be replaced. However, the UK’s sewage system was implemented mid 1800’s; since then, there has been regular maintenance, extensions, and replacements to sustain the sewage system’s functionality. 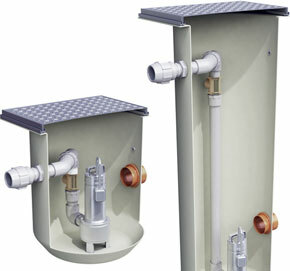 Due to the age-old origin of the sewage system, many of the replacement parts needed have often been discontinued. New parts can be manufactured using bespoke steel fabrication, which enables you to have particular parts developed for any sewer, so you don’t have to replace the entire length of pipeline. Here at Wildon UK, we have plenty of experience in dealing with replacing niche sewage parts and pipes, having recently replaced parts on an 80 year-old biological filter distributor. We construct obsolete equipment and unusual items of machinery so you won’t be left out of pocket after a sewage leakage. The team at Wildon UK are experts in sewage treatment and drainage and can advise you on different potential systems or new parts. For more information on bespoke steel fabrication, contact a member of our experienced team today!